Jumeirah Emirates Hotel Tower, also known as Emirates Tower Two is a 56-storey hotel in the city of Dubai, United Arab Emirates. 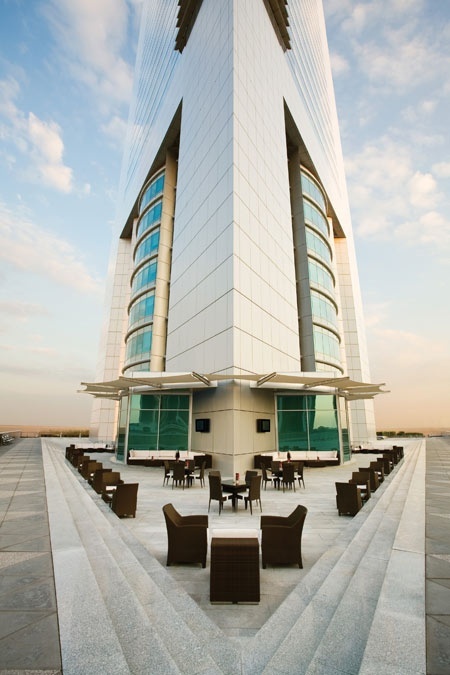 The hotel includes 40 luxury suites and is operated by the Jumeirah International Group. Connected with 54-floor Emirates Office Tower by a retail boulevard, the two towers form the Emirates Towers complex. At a structural height of 309 m (1,014 ft), Emirates Towers Hotel is the smaller of the two of the sister towers. It ranks as the 48th-tallest building in the world. It is the world's third-tallest all-hotel building. Construction was completed on 15 April 2000.